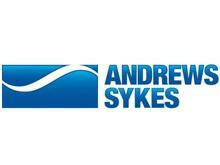 At Andrews Sykes, we pride ourselves on offering our customers bespoke, up-to-date hire equipment for climate control, pumping and dehumidification purposes. Unlike our competitors, we provide a genuine 24 hour service 365 days a year, so if you suffer emergency breakdown or require units immediately, we are always on hand to assist. As a company, we aim to help clients across a full spectrum of sectors overcome everyday challenges by supplying cost-effective apparatus on a temporary... Read more basis.